Prompt DNR Response. A call to DNR to report a violation is addressed swiftly in most instances. They may even arrive within an hour, ready to get to the bottom of whatever was alleged. The worst feeling is to see a unformed DNR officer suddenly outside your door, asking questions, wanting to inspect your truck, your pole barn, your garage. They always mean business. Why is there a sense of urgency with them? Sometimes if they wait, the evidence is gone. The trail goes cold. The deer was already taken to a processor. The kill is no longer fresh. Time is of the essence. Your Records are in the System. There are databases DNR officers use to find out all kinds of information about a hunter or fisher. They know when the license was purchased. Why is this important? There are many instances of hunters killing a deer and buying the license after the fact. They know if a person has prior violations of hunting/fishing laws. This may cause the DNR officer to really scrutinize the case. They know if a person can lawfully possess a weapon. Many people lose the right to possess guns or deadly weapons due to criminal convictions, mental instability, or personal protection orders (PPOs). They know where you live, in case their investigation needs to take them to your house. Scene of the (alleged) Crime/Violation Inspection. The scene where the alleged offense occurred can provide many vital clues or evidence to an investigation. Is there a blood trail? If so, where does it lead? Were they able to find an animal that was shot or killed? Maybe there are footprints or tidemarks in the snow? Maybe there is evidence that a deer was dragged to another location? Is there a deer stand, guns, ammunition, bait, or anything else relevant found at a particular location. Is there any garbage left behind, such as receipts or tags that may identify who was previously at a location. The Fear of the Unknown. There is a reason why DNR officers wear uniforms, badges, service weapons, and have marked vehicles. Part of the reason is to establish their legitimacy and authority as DNR officers. Part of it is intimidation. When you are nervous, you are more likely to say something without thinking and without seeking the help of an experienced lawyer. The DNR conservation officer might put a lot of things in your head about what will happen if you don’t tell everything, and what will happen if you cooperate. In many instances a person’s own statements are exactly what gets them in trouble. Most of the time when someone gets approached by a DNR conservation officer it is the first time that they ever had that experience? Mostly, when someone gets a ticket concerning hunting and fishing it is the first time the person ever has had that experience. The World is Filled with Tattletails. The interview of witnesses is usually done to see if a case can be built. Who are the witnesses. The main witness is the person who the DNR conservation officer suspects committed the violation. Other witnesses may include the neighbor or stranger that observed the alleged violation. A lot of persons have a compulsion to tell or rat on other people. Sometimes the person who tells is a now ex girlfriend or someone else with an axe to grind or some sort of bias. A witness might be the person who was called with tracking dogs to find the deer. 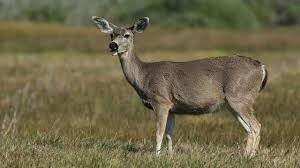 The witness could be the person who is given the deer to process. At times it is a taxidermist. 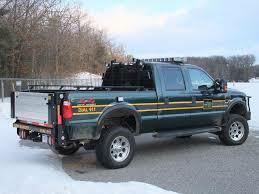 Anyone who potentially has knowledge of an alleged DNR violation is fair game to a DNR officer. The witnesses are often asked to provide a written statement of what they observed. Having a written statement locks the witness down in their version of events. It is also used to refresh the witness’s memory if they have to testify in court later. The DNR Buddy System. It is not uncommon for conservation officers to work in pairs. Having someone else’s back has many advantages. Two eyes are better if evidence needs to be collected. There is an issue of safety – after all, hunters are usually armed or otherwise possess some sort of a weapon. Officers have to be careful with persons they come into contact; they also have a fear of the unknown. There is also room to play the good cop and bad cop routine to try and elicit a statement from a witness or a suspect. Having two DNR officers with knowledge of a case is also a way for a prosecutor to try and corroborate his or her case. Having two witnesses to offer the same version of events adds credibility in the minds of a Judge or jury – repetition is a factor in the believability of a particular story. The buddy system has its advantages. DNR Forensic Files. Forensic evidence is not uncommon on DNR cases. In some cases the internal temperature of a killed deer is important evidence. If the issue is whether or not the deer was taken during hunting hours or if it was taken prior to the hunter obtaining his or her license, there is sometimes a way for the conservation officer to find out. The DNR conservation officer can use the deer’s internal temperature and the temperature outside to calculate the approximate time that the deer was killed. Sometimes if suspected blood is found in the back of a pickup truck, the suspected blood is tested to see if it is actually blood and the type of animal it came from. Photography 101. A DNR officer will often have a camera to photograph a killed deer, the amount of bait found, the location where a deer was recovered, a blood trail, etc. It is more and more common for people to use trail cameras, which also may help provide identification of the person who committed an alleged conservation law violation. A sportsman or sportswoman’s camera phone may contain evidence. A selfie taken with a killed deer can be the strongest evidence that a DNR officer can obtain. How does the DNR officer obtain someone’s camera? More often than not someone will consent. Other times, it is obtained through a search warrant. If the photograph of the prized buck is sent to other people by a text message, a witness who tells on the hunter may provide DNR with a copy of the text message received. Social Media is Fair Game. Just as it is common for a neighbor or stranger to tell on someone who allegedly violated a conservation law, it is common that people tell on themselves. Posting hunting and fishing photographs on facebook often allows the world to see them. A good place for a DNR conservation officer to further an investigation is looking at any available social media. If you make your private life public you probably will not have any reasonable expectation of privacy to images you posted for all to see. Lets Make a Deal. A DNR conservation officer will often state that if a suspect cooperates in an investigation, he or she will be shown leniency when a ticket is issued or a charge is pressed. Sometimes this is true, and sometimes it is not. The best course of action is to talk with an experienced lawyer before a decision is made whether or not to disclose any information. 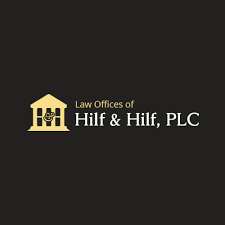 For all hunting and fishing violations in the State of Michigan, the attorney that you need to retain is Daniel Hilf of Hilf & Hilf, PLC. He is located in Oakland County, however he frequently appears in Courts throughout the State of Michigan. His office telephone number is 248-792-2590.